November is CPR awareness month. A little bit of training and preparedness can go a long way and potentially save lives. Red Cross CPR and First Aid courses are available everywhere. The cost is reasonable and the instructors are fabulous. It’s true you lose one day (or two) of your weekend to complete your training but it is time well invested. The Canadian Red Cross has also made a great app available to download onto your mobile devices. It is comprehensive, provides a careful overview of how to help in most emergency situations, and it is free. 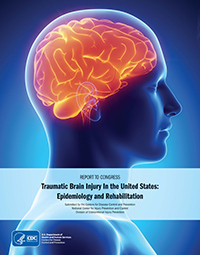 Helpful resource for understanding and coping with traumatic brain injury from CDC. Statistics Canada recently released new information about disabilities in Canada. 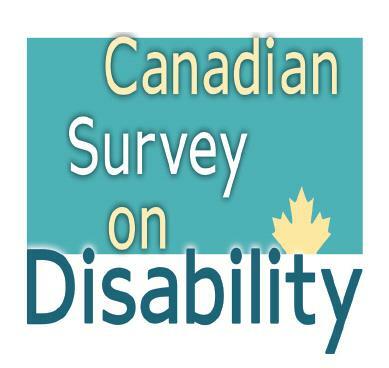 The information comes from the 2012 Canadian Survey on Disability (CSD). Disability, in this survey, was defined as anyone why reported limits in their daily activities due to a long-term condition or health problem. Approximately 14 percent (3.8 million) of the adult Canadian population report a limitation in daily activity due to a disability. Among the total Canadian population, the most prevalent disabilities were pain, flexibility, and mobility impairments followed by psychological disability. Among younger adults (aged 15 to 24), the most prevalent disability was psychological disability. With age, the prevalence of disability increases. Women have a higher prevalence of disability than men, independent of age. Over 81 percent of people with disabilities report using some form of assistive aid or device. For more information, visit Statistics Canada. I read a lot of journal articles. Most are dull and sometimes hard to slog through. Every now and then, however, I come across an article that is somewhat beautiful and charming. One such article is a recent one by Alan Bonsteel published in the November 2013 edition of the Canadian Family Physician. In this short article, Dr. Bonsteel reflects on his relationship with an early mentor, Dr. Zane Kime, and how that relationship shaped Dr. Bonsteel’s future practice. What struck Dr. Bonsteel the most was Dr. Kime’s capacity to provide a kind and gentle approach to all that he helped. 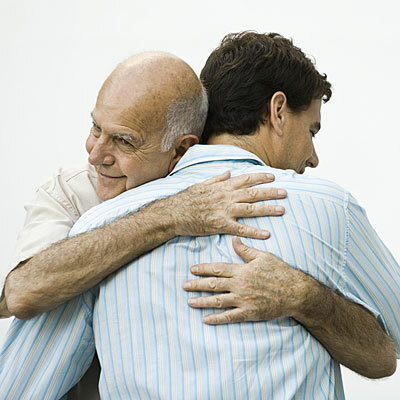 Dr. Zane had the ability to understand and listen to the needs of those he was helping and he understood that the prerequisite to any change is to first establish a caring human connection. Dr. Bonsteel also described a brief clinical study that he and Dr. Zane conducted. Dr. Zane asked those he was helping if they might consider possibly improving their diet and level of exercise. For one-third of these people, the request was face to face. The next third, Dr. Zane sat beside each person when making his request. And for the last third, Dr. Zane placed his hand on each person’s shoulder when asking for a change in diet and exercise. The best outcome was with those whom Dr. Zane touched on the shoulder. The point here is to highlight the importance of a caring relationship and the role of both verbal and nonverbal communication. Touch, within a caring and nonthreatening relationship, serves as an emphasis and a method of collecting the other person’s attention. It is a way of focusing the other person and highlighting that this message I am sending you is important. It is a simple, yet powerful, way of communicating. Keep in mind that we rarely change or alter our behavior for just ourselves. Instead we change for others and in their presence, because they have asked us to and it is important to them. All change begins with and within a relationship. Bonsteel, A. (2013). Patient-centred interviewing and evidence-based patient counseling. Canadian Family Physician, 59, 522. National Institutes of Health scientists film early concussion damage and describe brain’s response to injury. Concussion secrets unveiled in mice and people. On Wednesday September 18, 2013, Statistics Canada released new data stemming from the 2012 Canadian Community Health Survey – Mental Health. In this survey, Statistics Canada reviewed the degree to which mental health care needs were being met in Canada based on a sample of 25,000 people. This sample focused on Canadians living within the community but excluded Aboriginal communities, Canadian Forces personnel, and individuals in long-term care, hospitals, and correctional facilities. Among those surveyed, approximately 1 in 10 Canadians reported mental health symptoms or substance abuse issues in the past 12 months. Overall, 1 in 3 Canadians will experience a mental health or substance abuse issue in their lifetime. The most commonly reported need was the need for counselling. Unfortunately, this need was also the most likely not to be met. Barriers to accessing mental health counselling were due to lack of information regarding how to get help, affordability, absence of insurance coverage, and stigma.